Fire is probably mankind's most important discovery. It changed the lives of our ancestors. Just like a two-sided coin, it played an extremely important role in both war and peace times. It is destructive but also nurturing. The passage of time hasn't change the role that fire plays in our lives very much. Don't you enjoy gathering around a campfire with friends and hearing tales tinged with nostalgia? The crackling sound of wood, and the smokey scents, leave us feeling calm and cozy. The fireplace will always remain a symbol of togetherness or community. That's why we think it's a perfect addition to any backyard garden! Before choosing the materials, it is advisable to make a sketch depicting the design of the fireplace. Take into account the environment where it will be built and make it secure enough so you don't cause a disaster! Combine simple and dynamic shapes, along with varied materials, to create your masterpiece. Ensure the area used to store firewood is resistant to fire to avoid accidents. 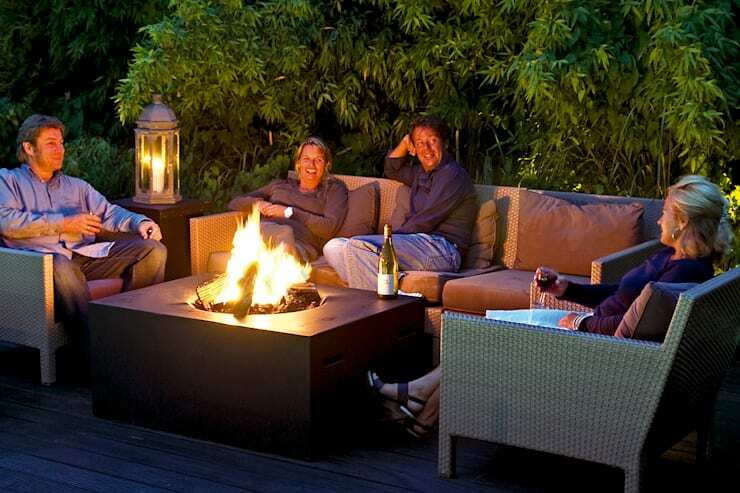 Tip: Before you dig your fire pit, you’ll want to make sure they are allowed. You can call your local fire department if you aren’t sure. You want to construct your pit at least 10 feet from any building structures, trees, fences, or other obstructions. Keep in mind also that you don't want anything dangling above it, so watch out for branches. You want to create a feeling of warmth and coziness and not a monstrous flame that will devour everything in its path. Once you've picked a spot, it is time to dig the base. Measure and mark the area. Use a shovel to dig out a circle or square that's at least 6 inches deep. Remember, other than firewood, you can also opt for ethanol, alcohol or even bio-fuel systems. 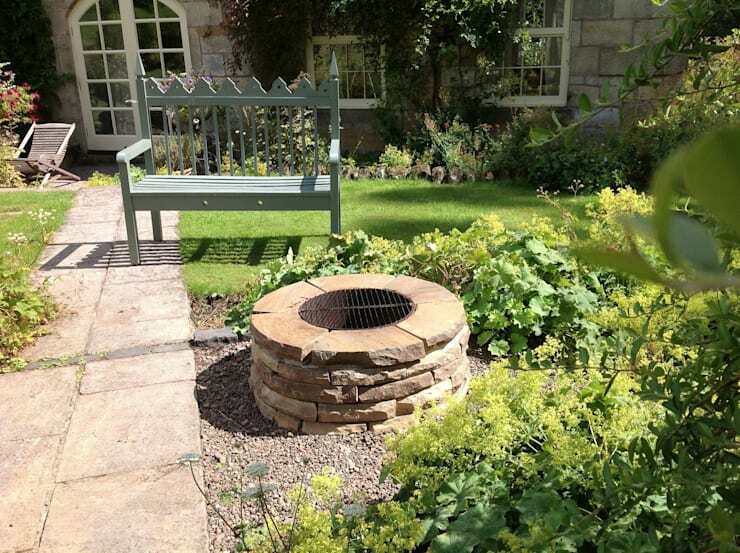 A well-made firepit should start with a base buried below ground in a hole lined with gravel. 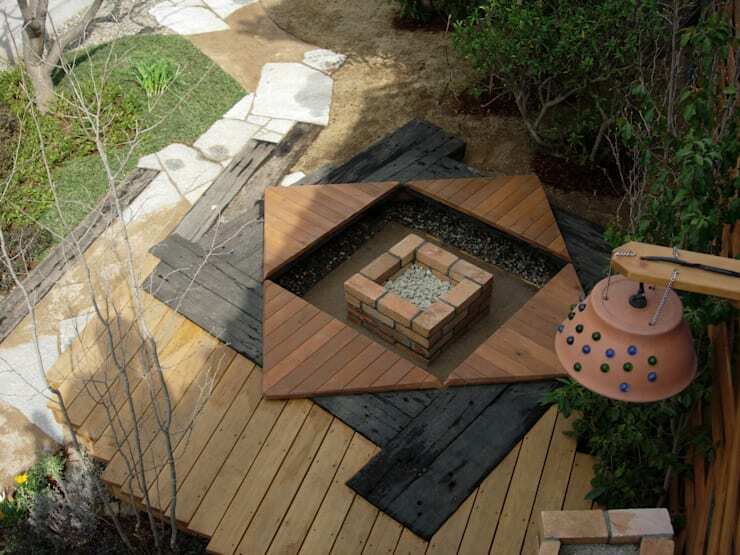 The gravel will give your fire pit an important drainage area when it rains and provides a level platform for the wall. You can also use both high-heat resistance materials such as bricks, baked clay and even cement to line the base. 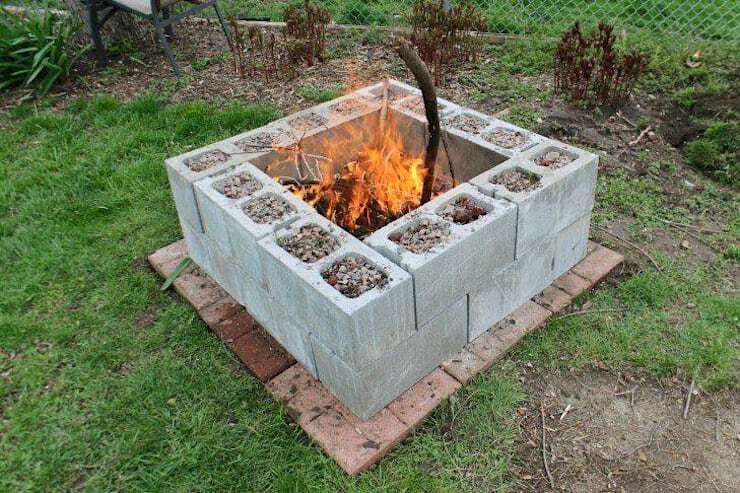 The next step is constructing the walls of your firepit. Just like the base, you'll need resistant materials such as cement, concrete or even bricks. Bricks are a more ideal option as they can be stacked easily. 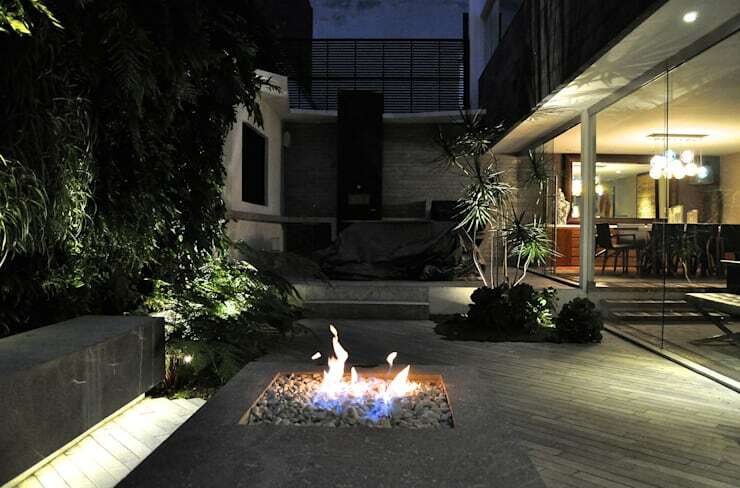 You can also use landscaping stones, which are available at hardware stores such as Home Depot. 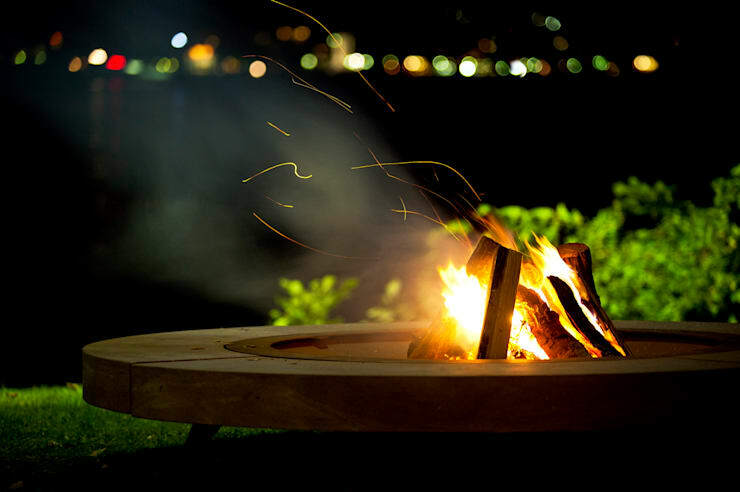 As a precaution, line the firepit with a thick steel ring to ensure a a more contained fire. The ring will also protect the walls of the pit from drying out prematurely. After the pit is constructed the area around, it outer walls can be personalized. 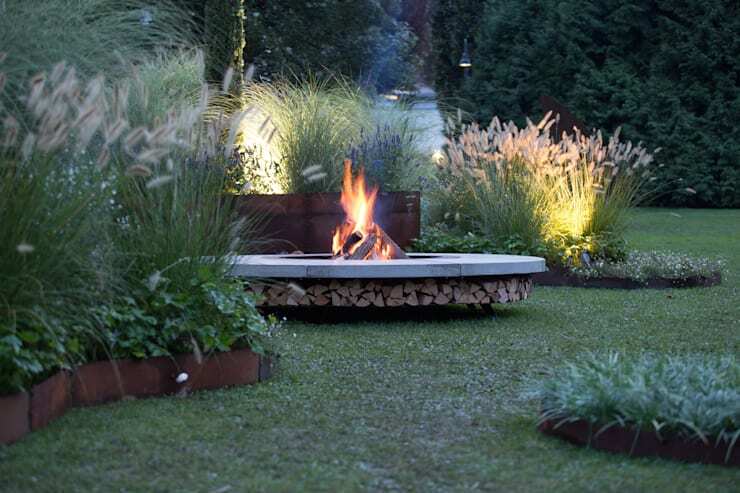 There are very attractive ceramics, including natural stone or marble that can give your firepit a splash of unique. You now have a peaceful and comfortable place to contemplate life, socialize and create a few memories. Pimp it up with a mini bar, add patio furniture and landscape around it. Don't forget to clean the pit out after every use! This will allow oxygen to get into the bottom of the pit for a better burning fire.